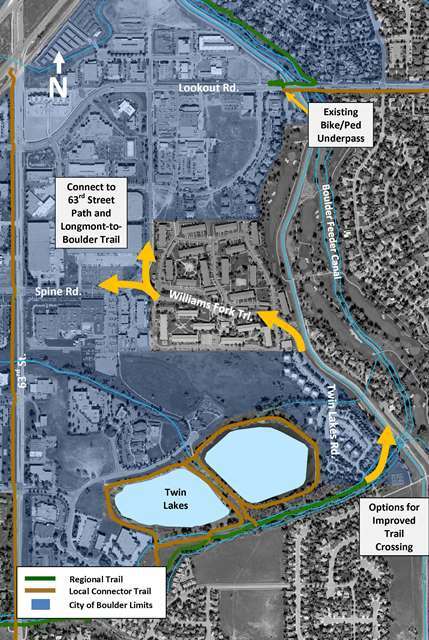 Boulder County Transportation, in partnership with the City of Boulder, is constructing a multi-use path connection betweenTwin Lakes Trail and Spine Road in Gunbarrel to improve multi-modal connections and enhance the Longmont-to-Boulder (LoBo) regional trail system. Federal funding is being leveraged to complete this project. Construction is anticipated for the spring/summer of 2019.